The Morel Habitat Kit® Morel Mushroom Growing Kit was developed so everyone could enjoy growing morel mushrooms in their backyard and have a personal supply of fresh morel mushrooms to eat each spring. The Morel Habitat Kit ® is not designed for commercial production of morel mushrooms, but it can supply an individual with pounds of morel mushrooms in an earth friendly garden area as small as 4 – 5 sq. 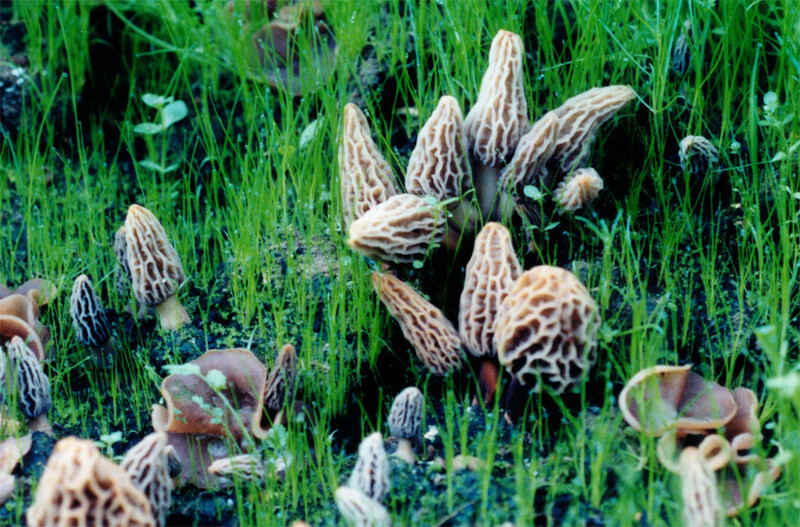 ft. Morel Habitats are perennial and may be started any time your soil is workable – Spring, Summer, Fall and even Winter (in areas with a mild climate). Morel Habitats may be started in any type of soil and have produced morel mushrooms in all areas of the United States that have a definite spring – transition from winter to summer. All Components of Morel Habitat Kit® are Recyclable as are all materials used to pack & ship the kits.